When out to capture an image there are two distinct ways of thinking for me. The technical side of things and the creative vision. On Saturday night, I decided to travel to a location I haven’t been to in a few years – Cima, California. I had a few ideas of combining some new techniques with some desert scenes. When I arrived in Cima, four of the five locations I had envisioned were still in tact, but a shack that had been withering away in the desert for years, had collapsed. I still had four locations to work with, and a beautiful clear night to enjoy. I started at an abandoned corral. I brought two cameras with me – one for star trails and one for shorter exposures to capture the Milky Way. After that, I continued on to a train track vignette for a capture of the Milky Way and an idea to simulate a ghost train that I need to go back and improve upon one day in the future. My third location is what this blog is really about; a phone booth along Kelso Cima road. 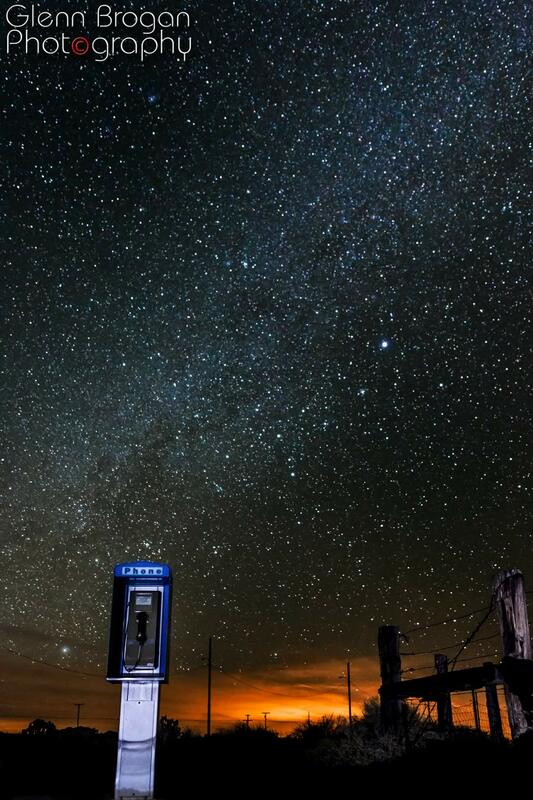 The original idea for this location was to capture the Milky Way dropping down behind the phone booth. When I thought back to previous visits to the phone booth, I envisioned a small booth along the roadside. What I did not remember was that there were metal mailboxes that were too close to the phone booth for the composure I was wanting to achieve. In order to capture the phone booth and not have the mailboxes in the frame, I had to have my camera really low and lay on the ground to see what the framing would look like. The composure was still skewed by the lens distortion and the angle of the lens to the phone booth. I tried a few different exposures and attempted to paint the phone booth with light using several techniques and finally saw in the back of the camera roughly what I had envisioned it. I was able to correct some of the distortion in post, but I may return to the scene and capture this vignette in the summer months, when the Milky Way is more prominent in the skies of the Northern Hemisphere. The fourth and final location and idea had me among some of the tallest Joshua trees I have ever seen. 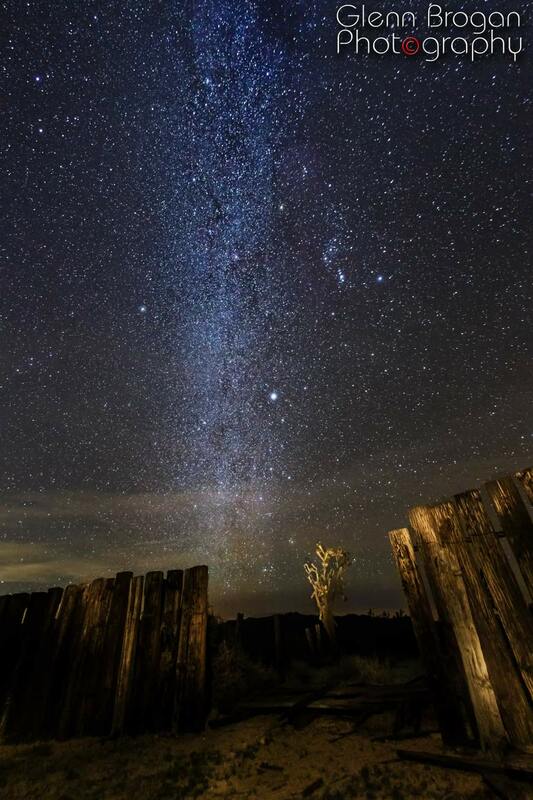 The composition was to be a panorama of the Milky Way arching across the sky with silhouettes of Joshua trees in the foreground. I ended up photographing a 10-image pano and later combined it in Photoshop. 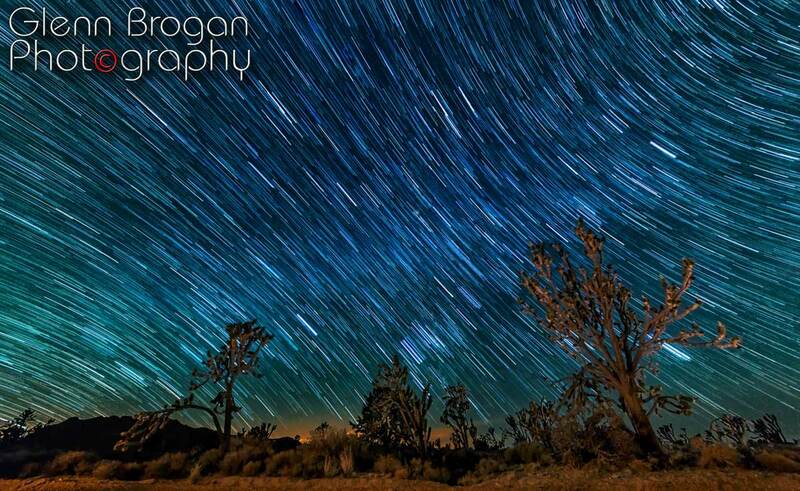 While shooting the Joshua trees, I also captured a handful of images to create a star trail. Here are a few images from this adventure on Valentines Day. Almost forgot the technical details of the image: Canon 70D, Sigma 18-35mm f/1.8 lens, 15 seconds, ISO 1600, 18mm. Here are some other images from the adventure. 10 Image Panorama of the Milky Way. 12 images stacked to create star trails near Cima, California. The glow in the background is Barstow in the distance. Love the photos and the story behind your vision.